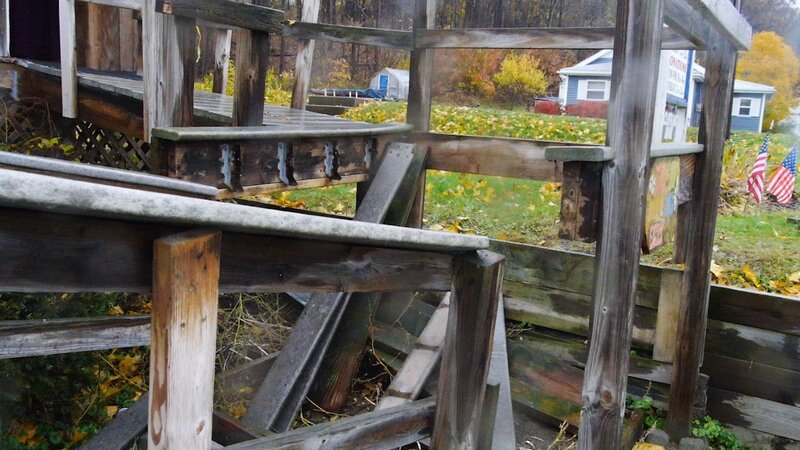 A porch collapse at a Chenango Bridge clothing bank sent two people to the hospital with minor injuries. The Chenango Bridge Fire Department says they received a call from dispatch that six to ten people were trapped under a caved-in porch. They responded around 1:20pm to find the ramp leading up to the front of Project Concern on Kattelville Road caved in. Multiple people were trapped underneath the broken wood structure and two were taken away on stretchers. Chenango Bridge Fire Chief Michael Norton says they are unsure what caused the collapse. The group of people were huddled towards the top of the ramp when it fell through. Project Concern, an organization that provides food and clothing to those in need, was operating during its normal hours at the time of the incident.